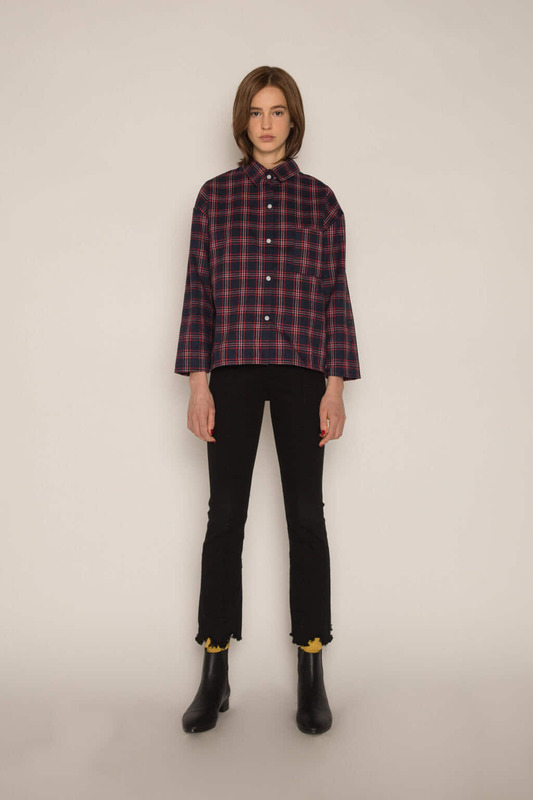 This cozy blouse is made from a soft brushed cotton that is woven with a red, white and navy check pattern. 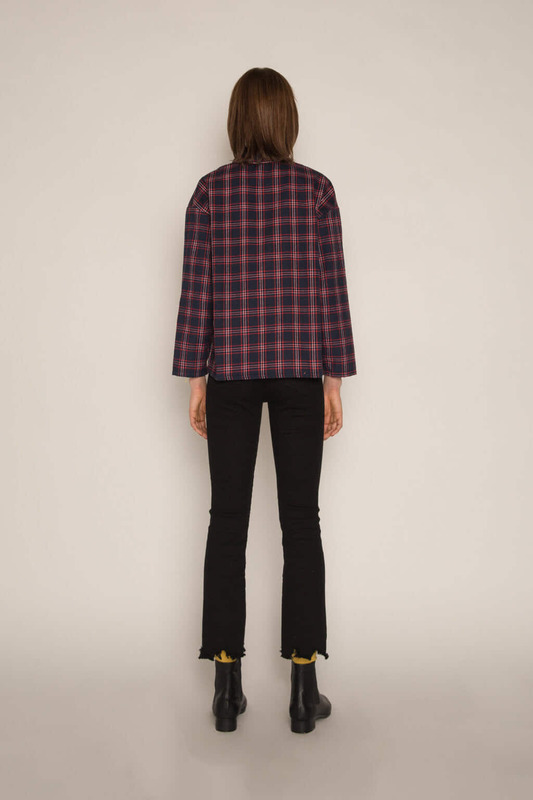 Cut for a relaxed and easy fit, this blouse is a versatile piece that can be worn regardless of the season. 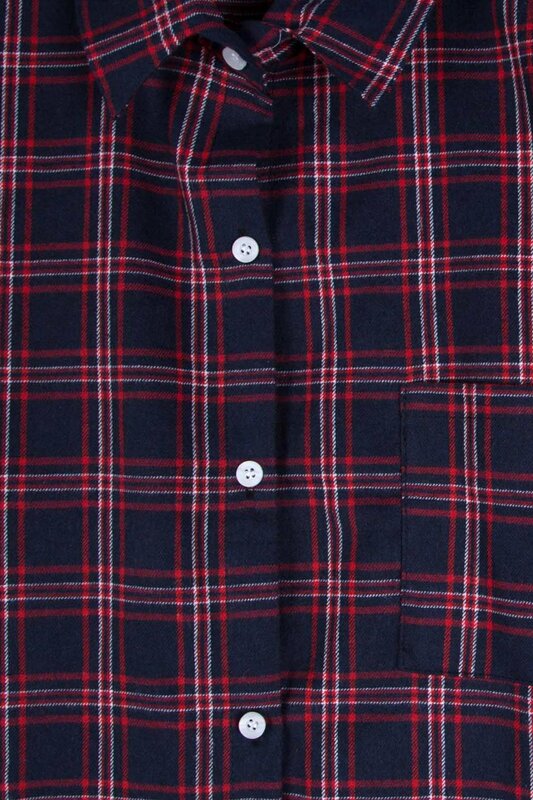 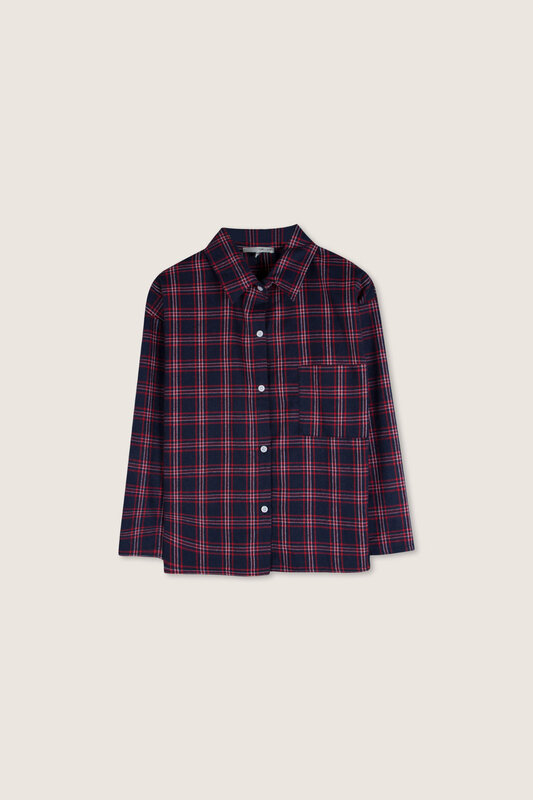 Try wearing this unbuttoned over a t-shirt and a pair of denim for a staple casual look.